Eggs are a staple on most breakfast and brunch menus. Heck, some people even enjoy eggs for dinner. Obviously, the egg has since redeemed its reputation and is arguably one of the top foods deemed both healthy and trendy today. In fact, a fried or poached egg on top of avocado toast is one of the healthiest things gracing brunch menus nationwide — it’s the perfect serving of carbs, fat and protein. Much like how millennials have ousted the whole “no bread” trend that the 1980s were so infamous for, health influencers now embrace eggs and bread alike. It's worth mentioning that nearly all of an egg’s nutrients are contained in the yolk. 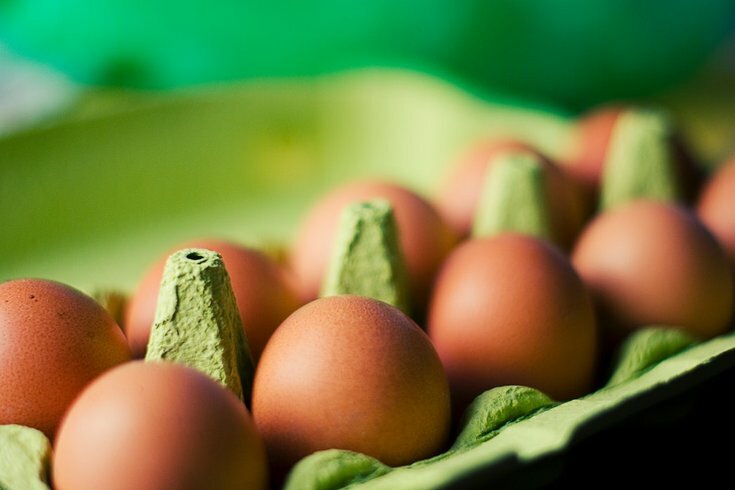 Plus, eggs are one of the only foods that boast naturally-occurring vitamin D, which helps keep bones strong. According to the 2015 Dietary Guidelines, dietary cholesterol is no longer a nutrient of concern when it comes to raising a person’s blood cholesterol. In fact, recent research indicates that people who ate about one egg a day had lower rates of heart disease and stroke, possibly because of their high levels of “good” HDL cholesterol, which can help fight fat buildup in blood vessels.